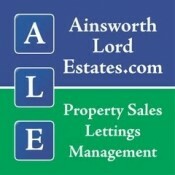 Ainsworth Lord Estates Ltd., Officially the Fastest Letting Agent in the Darwen Area, is a family run Agency based in Darwen and covers surrounding areas. We are passionate about property and are fully committed to getting our clients the best deal possible. We offer a personable service and believe that our efficiency and commitment to delivering results sets us apart from our competitors. Our team is made up of conscientious, committed and passionate people who seriously understand the importance of delivering results in a timely manner. If you are looking for a pro-active agent to help you with your property requirements, whether you're looking to sell a Commercial or Residential Property, or if you need someone to efficiently manage your single renter or a portfolio then we'd be delighted to discuss how we can help. We have several hundred properties on our books at any one time and these are split into Residential or Commercial Sales and or Management departments. We have the shortest letting time of residential and commercial properties something which is extremely important to our growing client base of landlords and investors. Due to the massive exposure we give our properties, coupled with our operating hours (7 days a week, and weekdays til 8pm) we are well positioned to answer and deal with enquiries when most other agents are closed. This means we can deal with leads whilst they are hot and get viewings booked straight away. And we love a challenge! We love dealing with tricky transactions too and because we are great Strategists we can always come up with a solution whatever the problem! Our fees are very competitive and always agree fees at the marketing appraisal meeting once we have seen the property and we don't take an upfront fee. We are a full member of The Property Ombudsman Scheme for dealing with Commercial, Residential Sales & Lettings.